Walt Brown's In the Beginning, 9th Edition! * This Handy PDF of the Draft of the 9th Edition: The latest edition of Dr. Walt Brown's best-selling book on creation and the flood, In the Beginning, is always available online at creationscience.com, although there it is broken up into many separate HTML web pages. However, for your convenience, you can click the link above or here for a draft PDF of the 9th Edition (to use in your iPad, Kindle, Mendeley, phone, etc.). As a single 80 MB file, this PDF is very helpful for studying the Hydroplate Theory. And see rsr.org/hpt for more! * RSR Online Exclusive: Walt's draft 9th Edition is available online only right here on this very webpage at rsr.org/9, and this PDF is up to date as of Jan. 6, 2019. So to get it just click on this link: draft PDF of the 9th Edition. * RSR's Favorite Scientist: Here at Real Science Radio, Dr. Walt Brown is our favorite scientist! Brown authored the Hydroplate Theory, which explains 25 major features of the earth and its environment, and he's made five amazingly specific predictions about the earth and astronomy which have since been confirmed as accurate and his current book contains 45 more predictions. These insights flow from Walt's theory that the global flood resulted after the earth's crust broke open, forming the globe-encircling mid-oceanic ridge, and released water from ten miles beneath the surface from a virtually worldwide subterranean sea. * Biography: Walt Brown received a Ph.D. in mechanical engineering from the Massachusetts Institute of Technology (MIT), where he was a National Science Foundation Fellow. He has taught college courses in physics, mathematics, and computer science. Brown is a retired Air Force full colonel, West Point graduate, and former Army Ranger and paratrooper. Assignments during his 21 years of military service included: Director of Benét Laboratories (a major research, development, and engineering facility); tenured associate professor at the U.S. Air Force Academy; and Chief of Science and Technology Studies at the Air War College. For much of his life Walt Brown was an evolutionist, but after years of study, he became convinced of the scientific validity of creation and a global flood. Since retiring from the military, Dr. Brown has been the Director of the Center for Scientific Creation and has worked full time in research, writing, and teaching on creation and the flood. And as Bob Enyart says, "Henry Morris is the Copernicus of the creation movement, and Walt Brown is the Isaac Newton!" 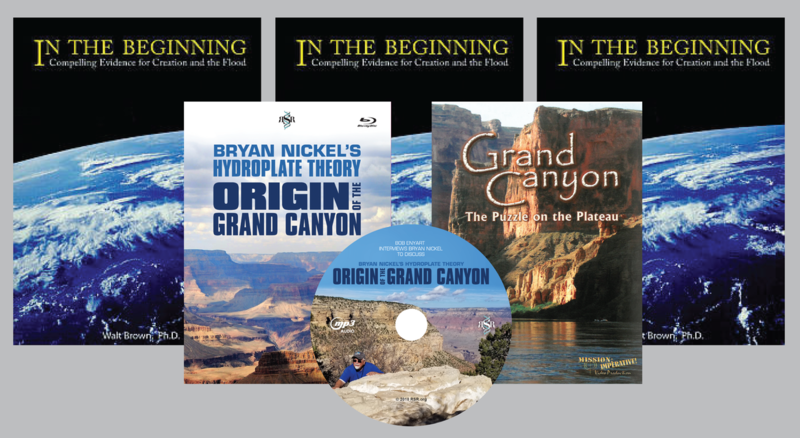 * RSR's Grand Canyon Special: Help spread the word, get better informed, and keep us broadcasting by purchasing RSR's $100 Grand Canyon Special, our canyon radio series on disc, two stunning videos, and three copies of Walt Brown's book! * Part 1: Today's program sufficiently summarizes last week's opening to RSR's series on the formation of chains of volcanoes. If however you're a cross-your-Ts kind of person, we invite you to click on back to last week's program and enjoy! 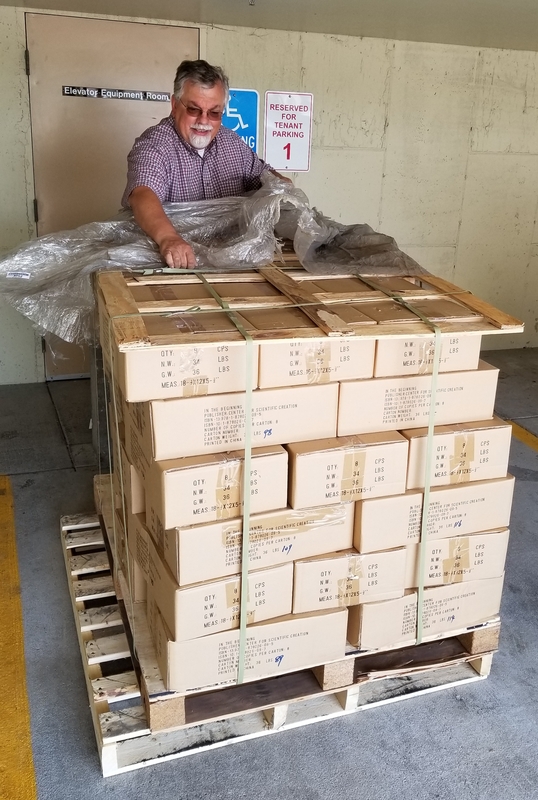 Get a full case of ITB books! - origin of the grand canyon, and Walt's at 1 of 745k pages among extremely tough competition like Wikipedia and the National Park Service (and beating out all other creation ministries). And see rsr.org/rankings for our latest report! * Plate Tectonics, Subduction, Predictions, Etc. : See Walt's chart on the reasons why plates have not subducted! And for his confirmed predictions, see rsr.org/predictions#walt-brown. All of our Real Science Radio Hydroplate Theory resources are collected on a single page over at rsr.org/global-flood. Today's Resource: Get Dr. Walt Brown's fabulous book, In the Beginning alone or our important Hydroplate Theory Special! Order by clicking the link, or calling us at 800-8Enyart (800 836-9278)!